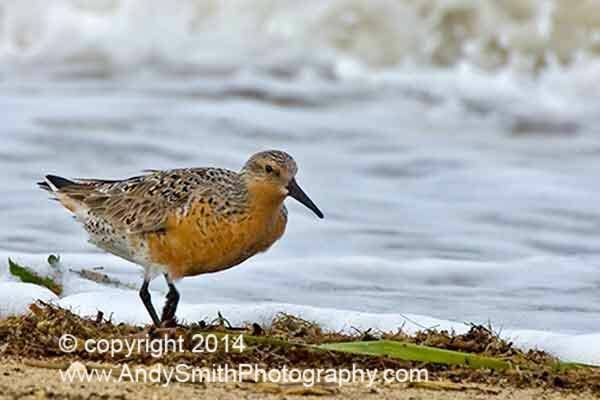 The Red Knot, Calidris canutus, is a signature species of the Delaware Watershed. Flying non-stop several thousand miles from South America to the Delaware Bay in late May, it loses much of its body weight. It spends a couple of weeks at places like Reed’s Beach, where it can gorge itself on Horseshoe Crab eggs which are laid in the sand around the time of the full moon in late May. It regains body weight for its flight to the nesting grounds in the Arctic. The crab population has dropped dramatically in the last few years, most likely from over fishing. The decline of the crab population is probably the cause of a precipitous drop in the Red Knot population. On the morning in May 2008 when I took this image, I saw only six Red Knots whereas several years ago there would have been hundreds at the same place.